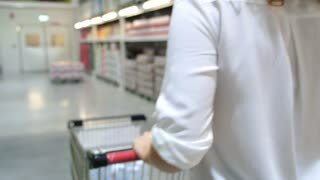 At the Supermarket: Handsome Man with Shopping Cart Uses Smartphone, Looks at Dairy Products and Walks Through Frozen Goods Section. Other Customers Shopping in Background. 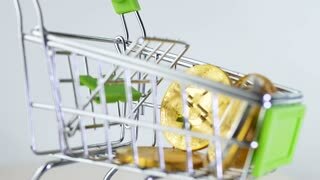 Shopping Cart at Food Store with Fresh Fruits. Closeup. 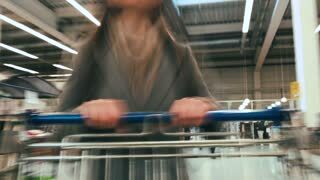 Woman using mobile phone at supermarket hands close-up. 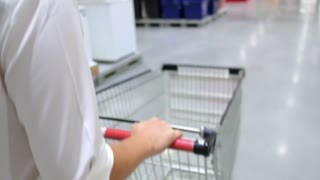 Female using tablet computer at supermarket hands close-up. 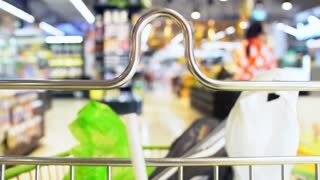 At the Supermarket: Man Pushing Shopping Cart Through Fresh Produce Section of the Store. Store with Many Customers Shopping. Following Back View Shot. Woman putting fresh tomatoes in the shopping cart at supermarket store. 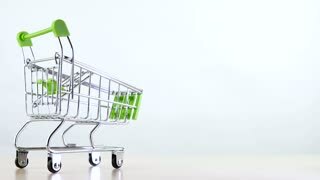 Half Full Shopping Cart With Vegetables Moving Through A Supermarkets Produce Aisle. 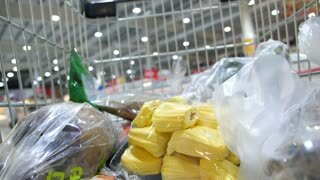 You can see vegetables like paprica, potato, cucumber, carrot and salad. Shot in real time. 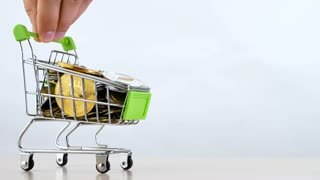 Walking through the shop with green cart. Fast motion. 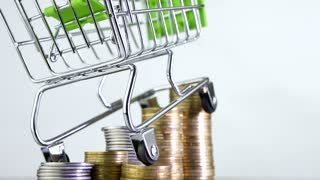 People are in supermarket. Reflection in plexiglas. 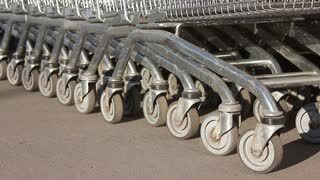 People go with shopping carts in the supermarket, choose the goods. Normal speed. A shot of a man selling street food in Bangkok Thailand. Side medium shot of potter puting a clay jug on a pushcart and pushes it towards the oven for roasting. 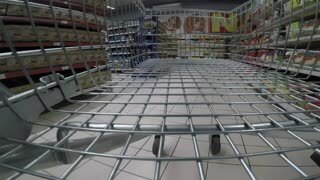 Time lapse in a supermarket, shopping trolley view adding items into the trolley. In the Modern Data Center: IT Technician Working with Server Racks, on a Pushcart Various Equipment Needed for Installing New Hard Drives, Doing Hardware Maintenance and Diagnostics.